The Japanese military attaché in the Philippines has expressed “deep remorse” over the acts of violence his country had committed in Palawan in World War Two. MANILA–When tourists picture Palawan, they imagine white-sand beaches, pristine waters and a diverse marine life. A travel firm however wants to add another feather in the island’s cap by tapping it as a go-to destination for history and heritage. Interview with Ms. Aileen Clemente, Chairman & President of Rajah Travel Corporation and Co-Executive Director of Palawan Liberation Task Force starts at 16:00 mark. A 102-year old World War II (WWII) veteran, 3rd Lieutenant Jesus Barracoso, has received awards and recognition for his heroism during WWII. Coron Mayor Jerry Barracoso is proud to be descended from a living Palawan hero. On Facebook, Barracoso gave a virtual snappy salute to his Uncle Jessie, or 102-year old World War II Veteran 3LT Jesus Barracoso. A 102-year-old war veteran, who saved two wounded American pilots in 1944, has finally been rewarded for his bravery. 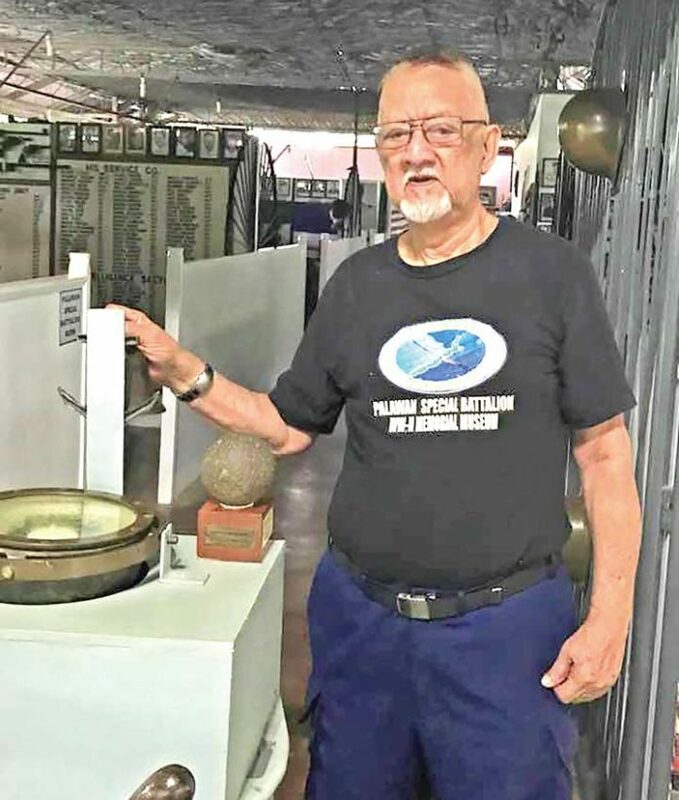 Third Lieutenant Jesus Barracoso received the medals from the Philippine Veteran Affairs Office and the Palawan Liberation Task Force (PLTF) at a ceremony arranged for him in his hometown Busuanga. Join us as we give honor to other World War II heroes this April 21-22, 2018. Watch the highlights of the Veterans and Senior Citizen day at Busuanga with a special awarding ceremony for a 102 year old war veteran here. A 102-year-old World War II veteran was honored in Busuanga town recently with five notable awards for saving two wounded American pilots in 1944. 3rd Lieutenant Jesus Barracoso personally received the medals from the Philippine Veteran Affairs Office (PVAO) and the Palawan Liberation Task Force (PLTF) of the provincial government in a special ceremony arranged for him on February 26 in his hometown. 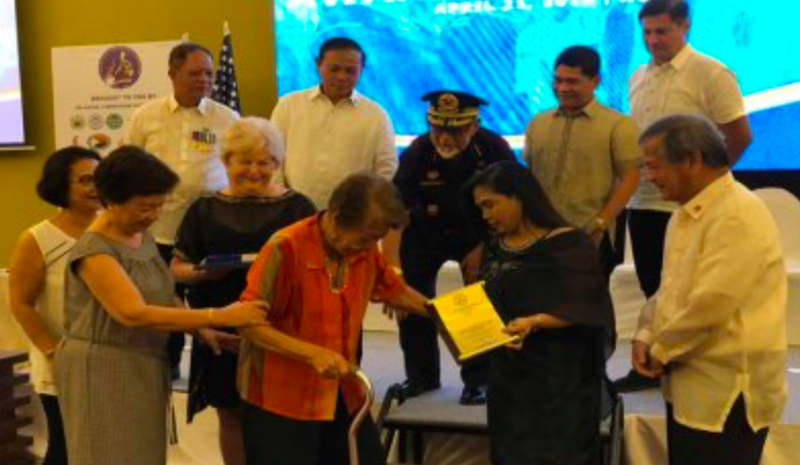 PUERTO PRINCESA CITY, Palawan -- A 102-year-old World War II veteran was honored in Busuanga town recently with five notable awards for saving two wounded American pilots in 1944. A 102-year-old warfare veteran, who saved two wounded American pilots in 1944, has finally been rewarded for his bravery. Third Lieutenant Jesus Barracoso obtained the medals from the Philippine Veteran Affairs Office and the Palawan Liberation Task Force (PLTF) at a ceremony organized for him in his hometown Busuanga. "The Philippines continuously surprises both locals and tourists with its spectacular sceneries and ecological gems. But the archipelago is not only home to some of the world’s wonders, it also caters to those searching for an incredible place to renew and relax. Marvel at what the Philippines has to offer in this special presentation of Rediscover Paradise." Palawan Liberation Task Force confers posthumous award to 1st Lt. Francisco F. Ponce de leon as a World War II hero. World War II in the Pacific officially ended 75 years ago in August 1945 when the United States of America dropped its atomic bombs first in Hiroshima and the second and final bomb in Nagasaki, Japan. Yet it took the Philippine government thru the Philippine Veterans Affairs Office (PVAO) almost 75 years after the war to recognize one of the Filipino heroes of the war in Palawan. Old photos never die. They fascinate me and I make them live. Every time I stumble into one, I spend precious seconds looking at them to see what lessons I might learn, and hear stories they might want to whisper and make me listen. I am like a scanner. I don’t gloss over. I peer into the littlest detail, looking for an interesting find. On that gloomy afternoon of one September, barely arriving from Manila and visiting my hometown after almost five years, I braved the rain and scanned my hometown by foot—to find out about the history of Puerto Princesa’s Immaculate Conception Cathedral.